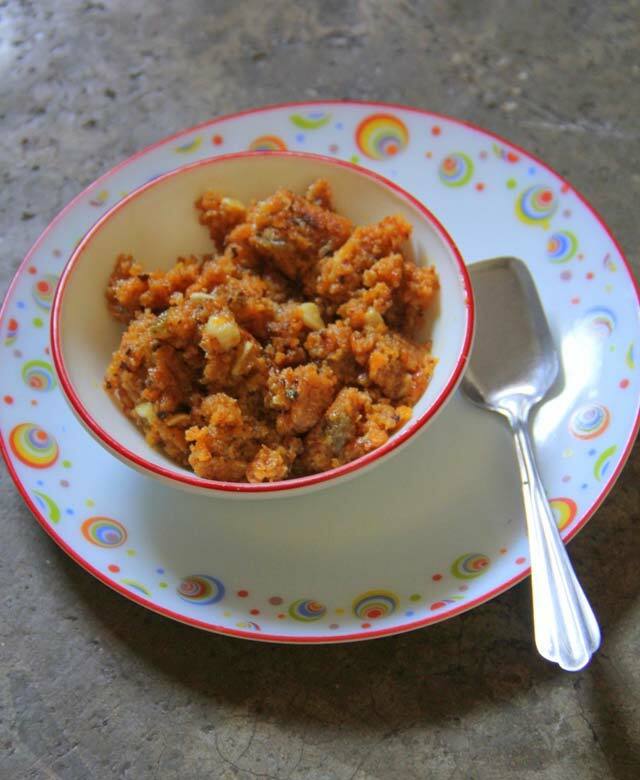 A delicious, favourite Indian “Gajar Ka Halwa” from my mom’s Kitchen. I am visiting my hometown these days, it’s where I was brought up, here I went to school and made some wonderful lifelong friends. It’s a small yet a beautiful and green town named Hazaribag in the state of Jharkhand’s heartland. Trust I need not say how special this place is and I am here after many years and everything here, every crossroad, every shack has memories unlimited, memories of the best days of my life. It feels as if the time has stopped, as if only yesterday I was with my friends sitting on the porch gossiping, conspiring and confiding. Along with the beautiful memories what’s amazing for the foodie in me is the town being flanked by villages on all sides brings in the freshest of the produce, fresh and green vegetables. My luck doesn’t end there, with my world favourite cook feeding me with my childhood favourites; it’s like being in heaven. 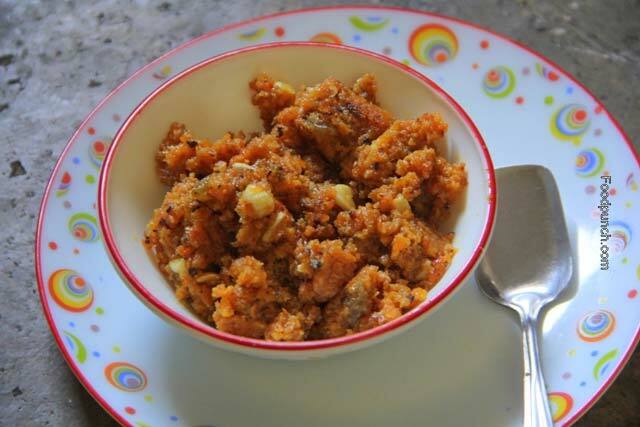 I am sharing here is a dessert that undoubtedly our favourite; all across our Northern India we have our own household preparation for ‘Gajar ka Halwa’. 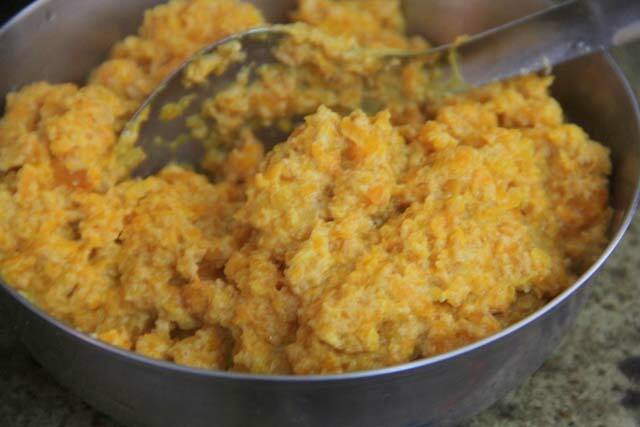 Sharing here, my mom’s famous recipe for our favourite variation of the halwa. Clean, scrape and grate the carrots. Add it with the entire milk into a thick bottom pot and bring to a boil on high heat. Then simmer the heat and reduce it till all the liquid dries up, do keep stirring every now and then to ensure that it does not stick to the base of the cooking pot. Suggest use a thick bottom non-stick pot, avoid steel. Once the liquid has completely dried up take it off the heat. In a separate frying pan or wok heat the ghee or clarified butter and add the above mixture. Fry on a slow flame till the texture turns slightly golden orange, about 10 mins. 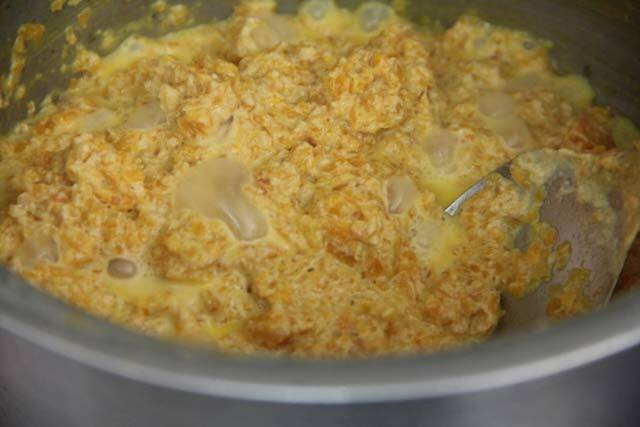 Then add the condensed milk and fry together until the oil starts oozing along the edges. Taste and add some sugar if you want it to be sweeter, though you may not need it. Turn off the heat, stir in the cardamom powder. Add the cashew and raisins and enjoy warm. You may replace condensed milk with thick sugar syrup. Make sugar syrup by reducing water and crystal sugar to a tick consistency and add to taste. 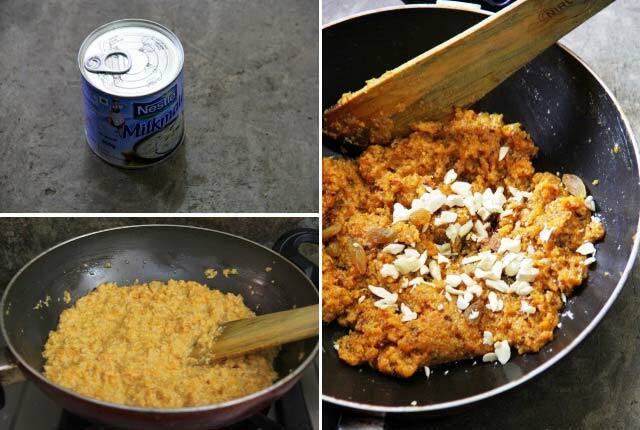 Do add other dry fruits, like almonds and dry coconut if you like. Do not let the milk and carrots burn while reducing. Looks good! I must say you did a good job!